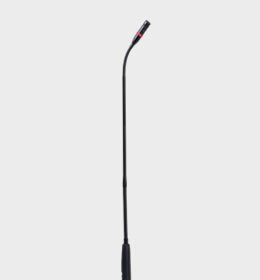 The ST-6000 is newly developed gooseneck microphone. The microphone is built with extra solid metal and isolates vibration and touch noise effectively. Membrane switch virtually eliminates switch noise. Low cut circuit makes installation easier. 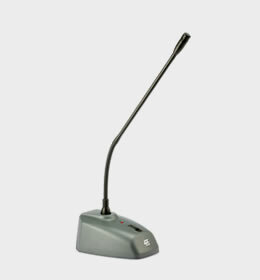 The ST-850 is compatible with transmitters such as PT-900B, PT-850B, PT-920B (G), PT-950B and PT-990B and makes gooseneck microphones go wireless and installation a simple work. 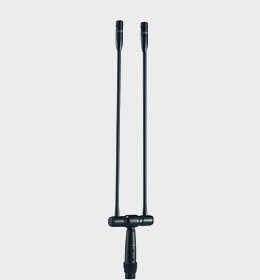 This GM-5212Du (K) dual gooseneck microphone provides consistent sound quality and is good for broadcast, interview, presentation, worship and so on. 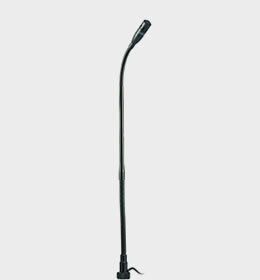 The JTS GM-5212C series 12" gooseneck microphone features a 5/8” - standard 27 thread mic stand adapter for mounting on a mic stand or a mic mounting flange for podium mounting and feature a side exit cable with a XLR(M) connector.